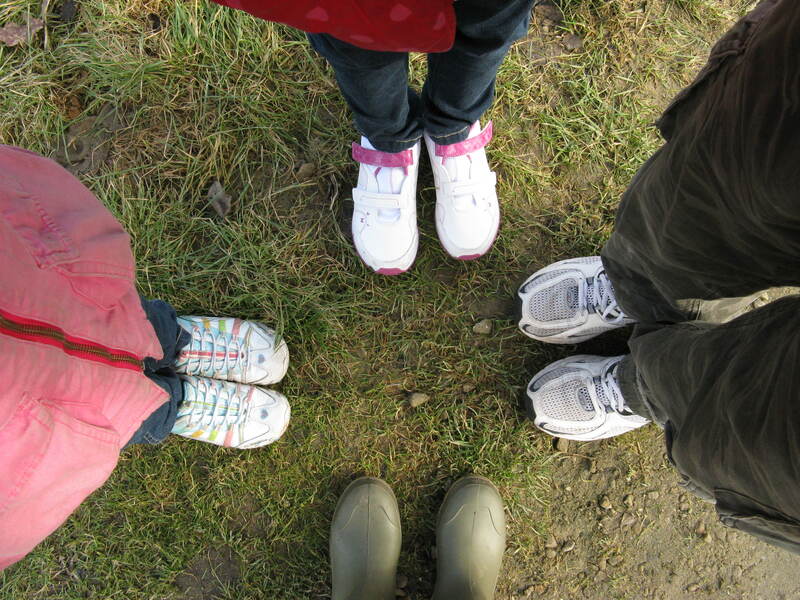 I pledged to enjoy the seasons changing by going for a walk every month as part of 2010:International Year of Biodiversity. Benlech, Anglesey. 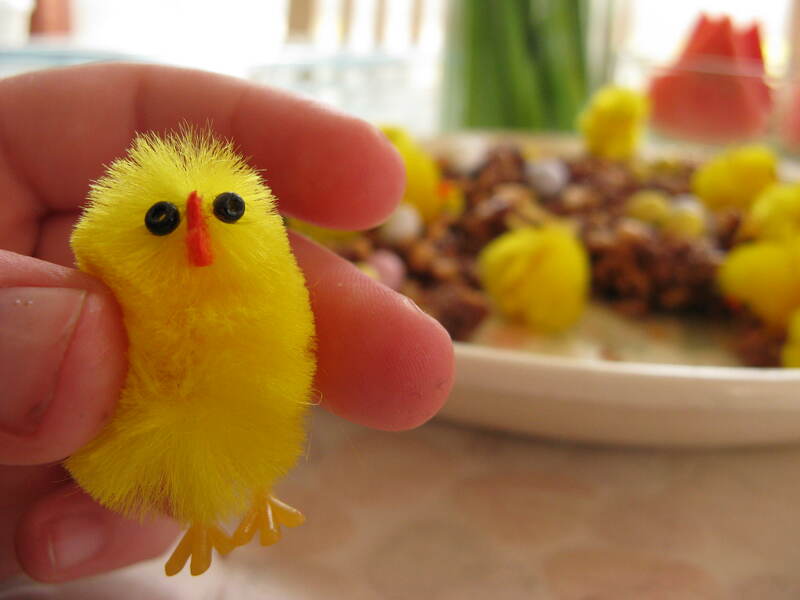 Easter weekend. 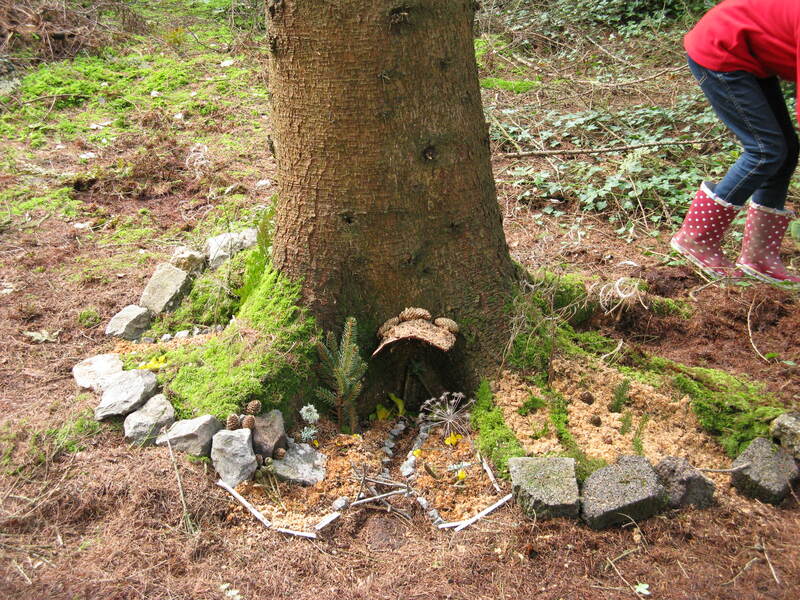 Spent most of the time in the wood behind the caravan site making elf houses. 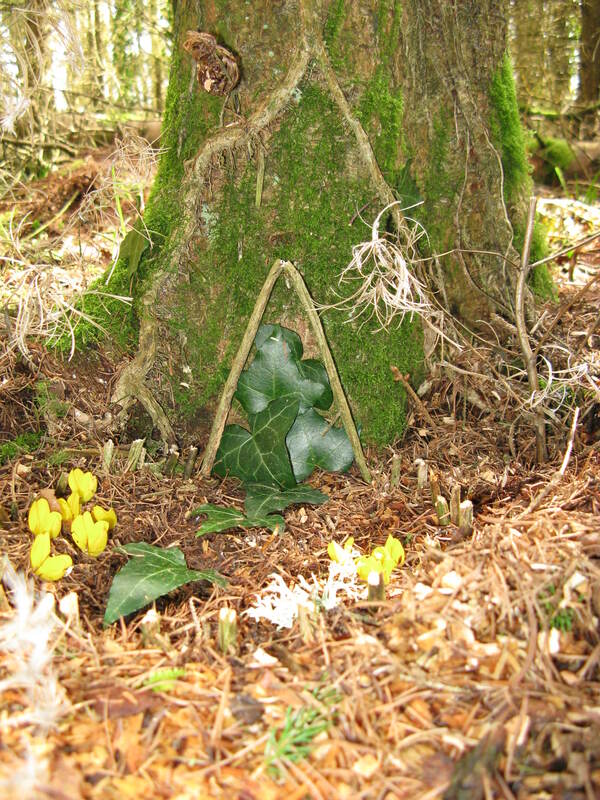 This entry was posted in Lindsey's walks and tagged 2010: International Year of Biodiversity, bluebell, easter, elf houses, Trees. 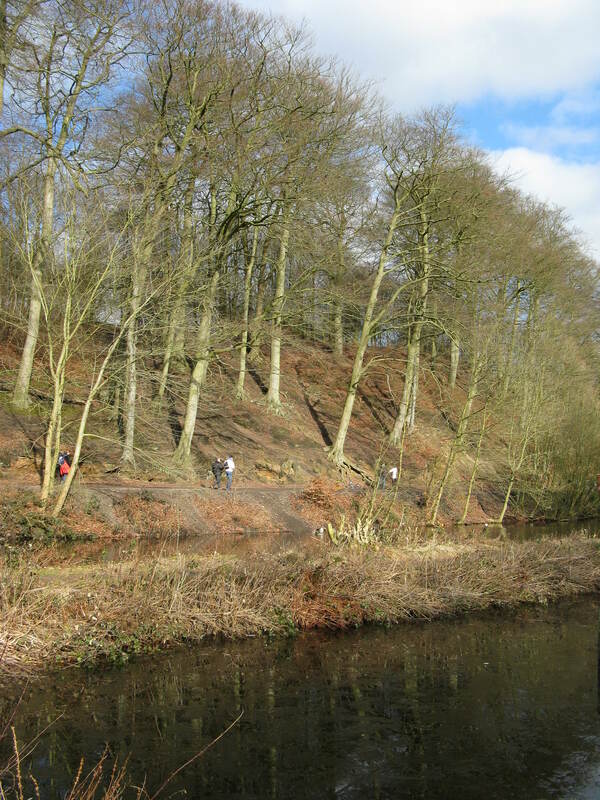 A bright, icy cold morning set the scene for my February walk at Etherow Country park, Stockport. 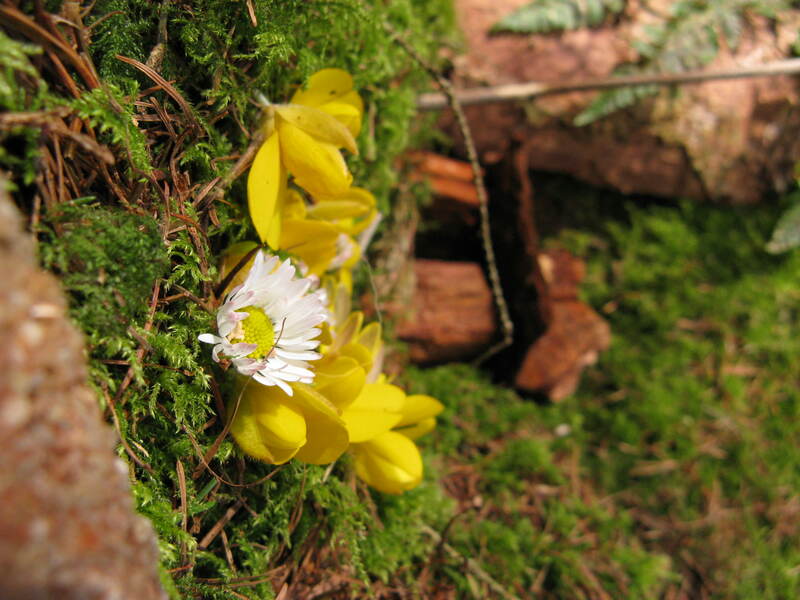 If you’re new to the herbology blog, I pledged to enjoy the seasons changing by going for a walk every month as part of 2010:International Year of Biodiversity. 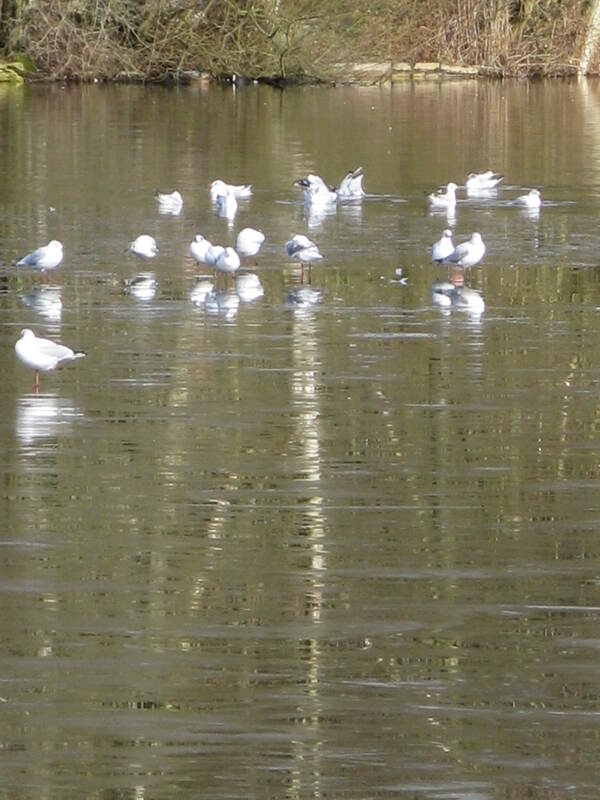 Part of the lake was frozen so the ducks were all huddled up at one end. 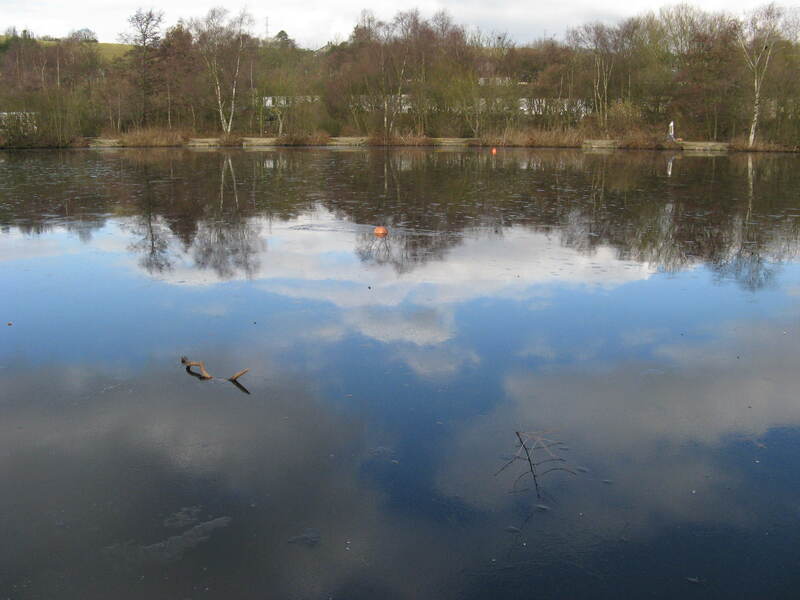 There were lots of people out enjoying the chilly day and children chasing over the bridges at the far end of the lake. 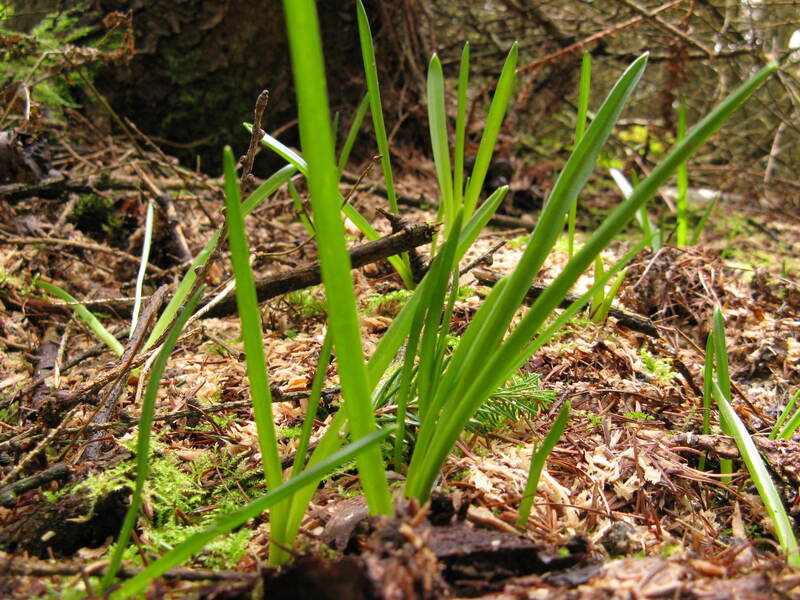 We found spring green shoots of daffs pushing their way up through the frozen soil. Spring is on its way! 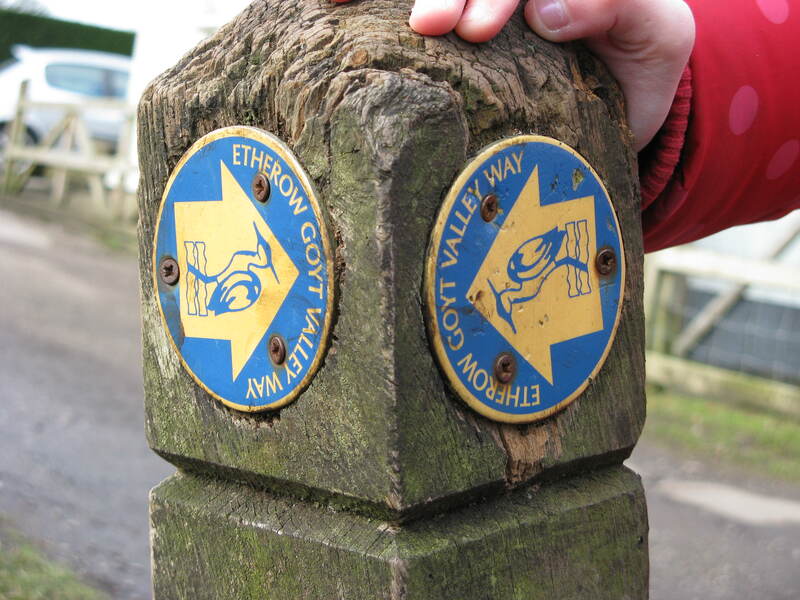 Etherow Country Park was the first country park. The webpage tells us it was “established in 1968 around an old cotton mill, the park has steadily grown in size and popularity and now attracts over a quarter of a million visitors every year. 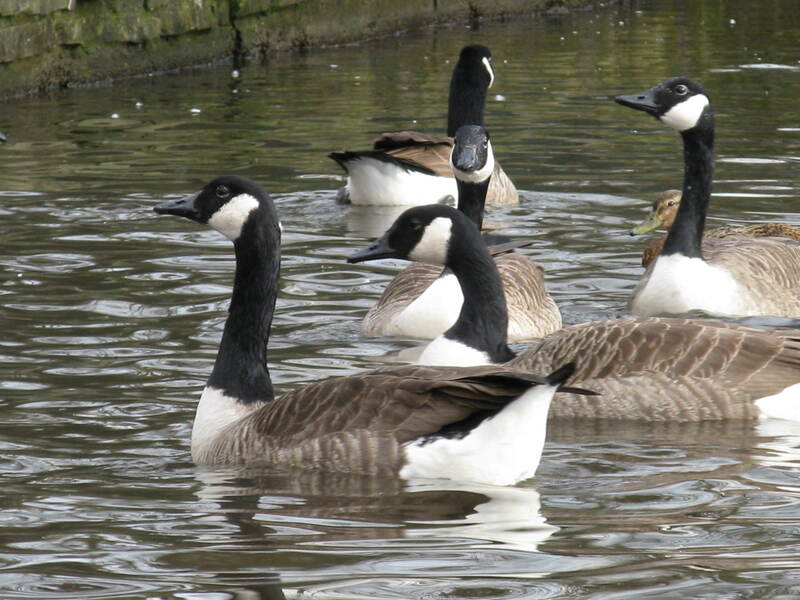 “Etherow Country Park is rich in wildlife. The park is home to over 200 species of plants and more than a hundred species of birds have been recorded here. 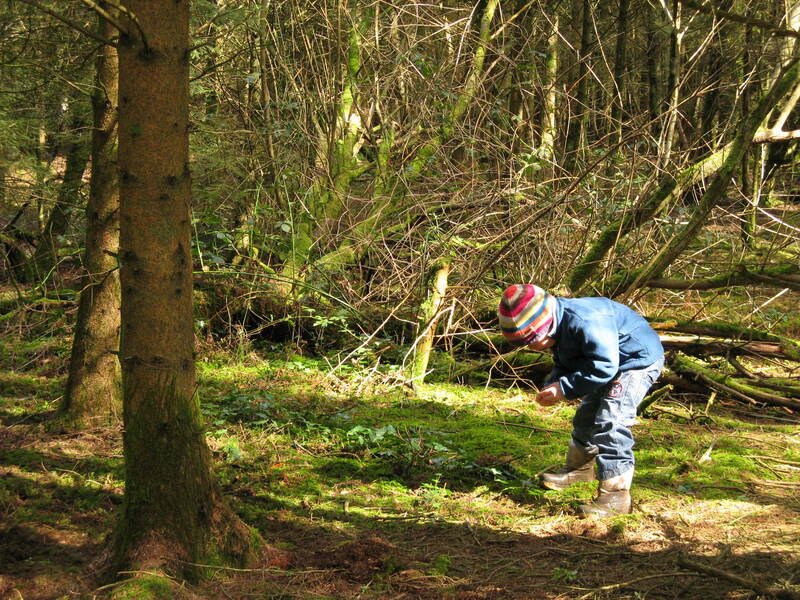 The park has its own nature reserve which is a designated Site of Special Scientific Interest. The wide variety of habitats within the park allow an abundance of wild plants to thrive here. With the exception of mid-winter, plants are easily spotted throughout the year. Look out for flora such as Dog’s Mercury, Wood Anemone, Hedge Woundwort and Common Spotted Orchid, among many others. 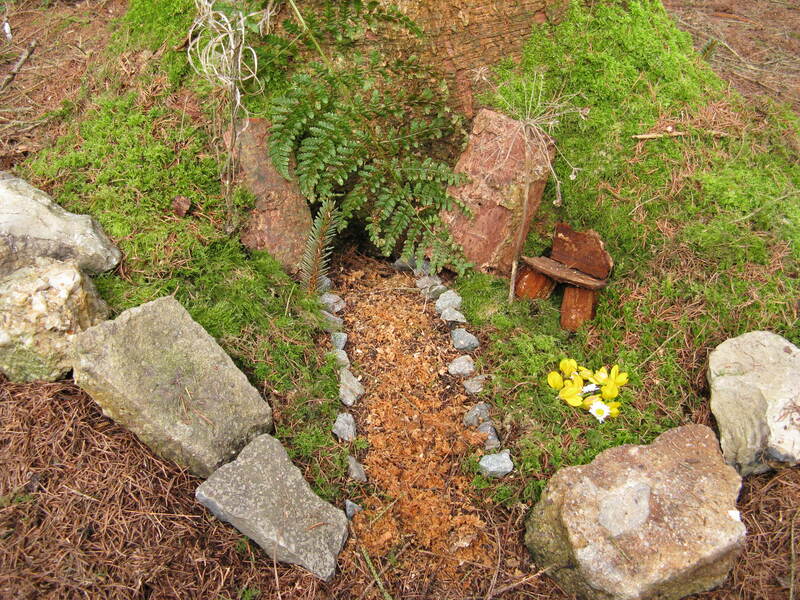 This entry was posted in Lindsey's walks and tagged 2010: International Year of Biodiversity, Etherow Country Park.